Bill Murray Turns 64 Years Old Today! 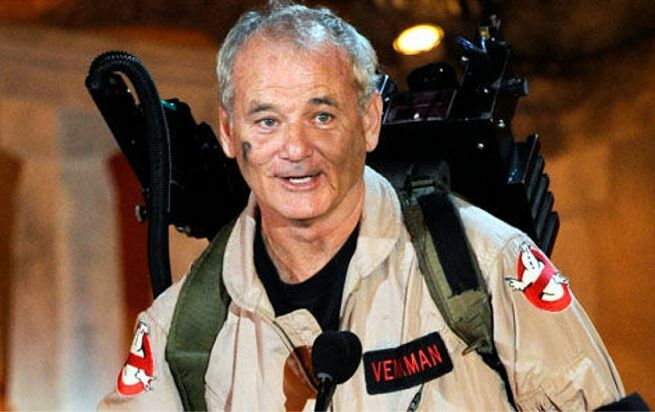 Bill Murray has made a number of movies, which are destined to be classics forever: Caddyshack, Groundhog Day, Stripes, Lost In Translation, The Life Aquatic With Steve Zissou, and of course Ghostbusters to name a few. Of all his films, Ghostbusters is the one which has developed the largest fan following. In addition to a sequel, Ghostbusters has spawned cartoons, video games, toys, comic books, and more. Ghostbusters continues to a popular cosplay choice at comic book conventions about the world. Even though it looks unlikely that Murray will appear in it, there is even a third Ghostbusters film in the works. Williams James Murray was born on September 21, 1950 in Wilmette, Illinois. He turns 64 years old today.